If you’re searching for how to have glowing skin just like in your youth then read on. We’ve collected some of the best natural approaches to reacquiring that youthful appearance you’ve been missing. Youthful skin has a glow and radiance that becomes harder to maintain the older you get. Not only does skin thin as you age, making it more difficult to retain moisture, but environmental and lifestyle choices also take their toll. Inadequate sleep, exposure to UV rays, the stresses of daily life, poor nutrition, drinking alcohol, pollution and smoking can dry out and dull your skin. 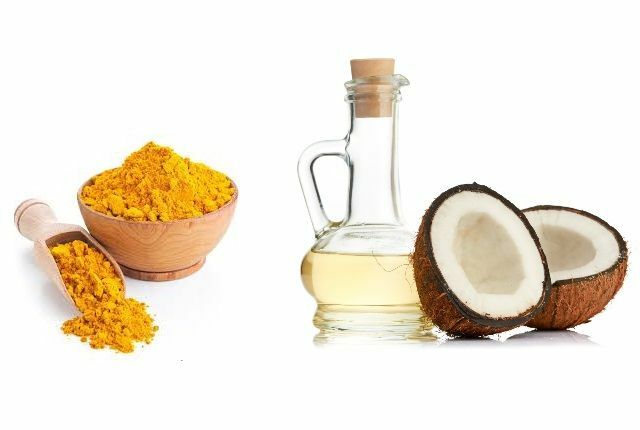 Cucurmin is the primary ingredient in turmeric that works to heal damaged skin, eliminate harmful free radicals and enhance collagen production. That’s because cucumin is an antioxidant that has strong anti-inflammatory properties. The texture of chickpea flour serves as an exfoliant making your skin clean and bright. Finally, coconut oil eliminates dry, dull skin because it locks in moisture and nourishes the skin by replacing essential fatty acids and enhancing healing with phenolic compounds. 1. In a small bowl mix turmeric powder and chickpea flour thoroughly. 2. Add enough coconut oil to form a thick paste. 3. Apply the mixture to your face, neck and any other body parts that are dull and dry. 4. Allow it to sit for 15 to 20 minutes. 5. Rinse the mask off thoroughly with warm, plain water using gentle, circular motions then pat dry. Your skin will feel slightly oily but the coconut oil will be absorbed into your skin by morning. 6. Repeat the procedure 1-2 times per week depending on your skin’s condition and the results you’d like to achieve. We’ve just reviewed the advantages of turmeric. 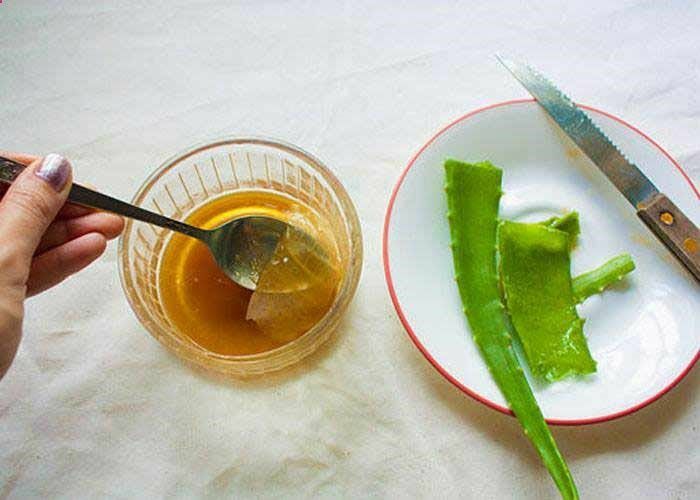 With its anti-inflammatory, anti-bacterial properties, however, Aloe Vera is one of the best natural products to repair damaged skin. It contains lignin and salicylic acid along with many vitamins and minerals that work to encourage the growth of new skin cells. Honey is an anti-inflammatory, antibacterial and humectant that contains trace minerals and micropollens. As such, it can repair skin damage while replenishing lost moisture. Milk is rich in vitamins and nutrients that have been a favored skin care product since the time of Cleopatra. It’s especially good for treating dry skin. 1. In a small bowl, mix all the ingredients together making sure they blend completely. 2. Apply to face and neck evenly. If you triple the recipe, you can also apply it to other areas of concern like dry legs and arms. 3. Let it set for about 20 minutes. 4. Rinse off the mixture with warm water and then gently pat the areas dry. 5. Repeat the procedure 2 times per week. Papaya is a fruit that is loaded with enzymes called papain as well as vitamin A which is essential for the growth of new tissue in the body. The properties of the fruit reduce oxidative stress, cleanse the skin, dissolve dead cells and fights free radicals. That reduces age spots and fine lines while leaving the skin supple to the touch. Sandalwood powder generates a cooling, soothing feel on the skin but also aids in healing abrasions due to its anti-microbrial properties. It can be used as an anti-inflammatory, sedative and disinfectant and has a pleasant, woody scent that will make your downtime a pleasure. 1. Cut part of a ripe papaya into small pieces and puree them in a blender. 2. Scrap the puree into a small bowl and add sandalwood powder and honey. 3. Mix the ingredients in the blender until you have a paste-like consistency. 4. Apply it to your face and neck and let it sit for 20 minutes. 5. Rinse the mask off with cool water and gently pat dry. 6. Repeat the procedure 1 times per week. Cucumbers are loaded with vitamin E, natural fats and lots of water making them the perfect antioxidants. When used as a mask they serve to hydrate the skin while delaying the degradation of hyaluronic acid and elastin. The result is tighter skin that’s supple and glows. Yogurt is chock full of probiotics, protein, vitamin D, calcium and alpha hydroxy acid. Together they dissolve dead skin cells while gently exfoliating, rejuvenates and softens the skin, fights acne, prevents premature aging and fights the breakout of acne. 1. Cut the cucumber into small pieces, put it in the blender and puree. 2. Add the yogurt and continue blending. 3. Scrape the mixture out of the blender into a small bowl. 4. Apply it to your face and neck. 5. Allow it to set for 5 – 10 minutes then wash it off with cool water and pat dry. 6. The procedure should be repeated every 3-4 days. Green tea is well-known for the fact it has flavonoids. That property enhances the production of collagen while maintaining elasticity of the skin, making the skin glow and reversing signs of aging. Brown sugar, on the other hand, is a natural humectant that helps the skin draw moisture from the environment. In addition, it is a source of glycolic acid that penetrates the skin and breaks down the “glue” that bonds even dead skin cells together. By helping the body slough off dead skin cells, new cells are encouraged to emerge resulting in a fresher, younger look. Finally, heavy cream contains at least 35% fat and is a great moisturizer for the skin. 1. In a saucepan, bring water to a boil. 2. Add green tea leaves and keep the water boiling until it begins to change color. 3. Remove the pan from the flame, strain the liquid into a tea cup and allow the leaves to cool below room temperature while you’re enjoying your tea. 4. Place 2 teaspoons of the leaves into a small bowl. 5. Add brown sugar and heavy cream to the bowl and thoroughly mix the ingredients. 6. Apply the mixture to your face and neck scrubbing gently in a circular motion for several minutes. 7. Allow it to set another 10 minutes then rinse it off with cold water and pat dry. 8. Repeat the process 1-2 times per week. Everyone is born with skin that glows. However, the ravages of time, environmental conditions and lifestyle take their toll on all of us. In addition to those listed here, there are many other natural approaches to try that are designed to repair skin damage and restore that youthful glow.